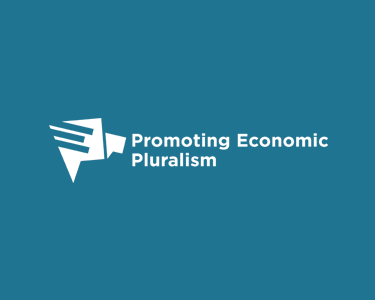 We are building a common identify and profile for teaching that takes a pluralist approach to understanding economies by co-creating an accreditation system for masters programmes around the world. Former chairman of Goldman Sachs Asset Management and former Conservative government minister"I always believed economics was a social science. In my days of doing a PhD, the main frame computers never worked well so it forced you to doubt what comes out of some- relatively simple- equations. 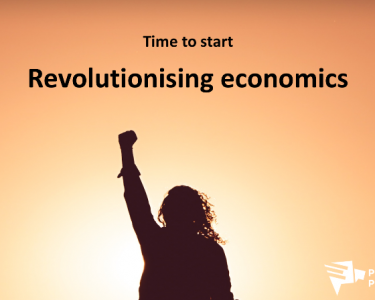 We need to get back to treating economics as a true, social science ie draw on a range of methods and disciplines to understand the real economy." MP for the Green Party of England and Wales"To get our economy out of its current bind it's absolutely crucial that we promote greater economic pluralism. We need to be asking big questions about what our economy is for, and shifting the way we measure success too. Economics will succeed when it takes account of both human need and planetary constraints - and I support this initiative in breaking down old boundaries and seeking a new way of doing things." Economics Editor, Financial Times"The critical contribution of economists is to be able to distinguish big from small; what is important from what is trivial. Learning neoclassical theory is a necessary part of any economics education but it is not sufficient. For me, learning to critically evaluate many different ideas and models was by far the most useful part of my economics education"
Chief Executive, RSA"We need a new generation of economists able to think critically and creatively to break out of the group think that has plagued economists due to the narrow span of economics curricula. I support this initiative as a way to boost the profile of economics courses that will provide an economics education fit for the 21st century drawing on the full range of economic methods and latest techniques." Chairman, Debenhams and Barclays UK"I gave up economics after a year at university due to my frustration with its narrow perfect world assumptions and to be fair, my lack of algebra. I am very committed to a broader view of economics especially behavioural and ecosystem approaches that have traditionally been marginalised. We need all the analytical tools we can get to deal with an increasingly complex and uncertain world"
Group Chairman, Legal & General Group Plc and Chair of UK Research & Innovation"It is clear that the lessons of the global financial crisis have important implications for the way that academic economics is thought about, taught and applied. I am delighted to support this initiative." We want to make space for innovative thinking about how we should organise our economic organisations so that social and environmental purpose is baked in. 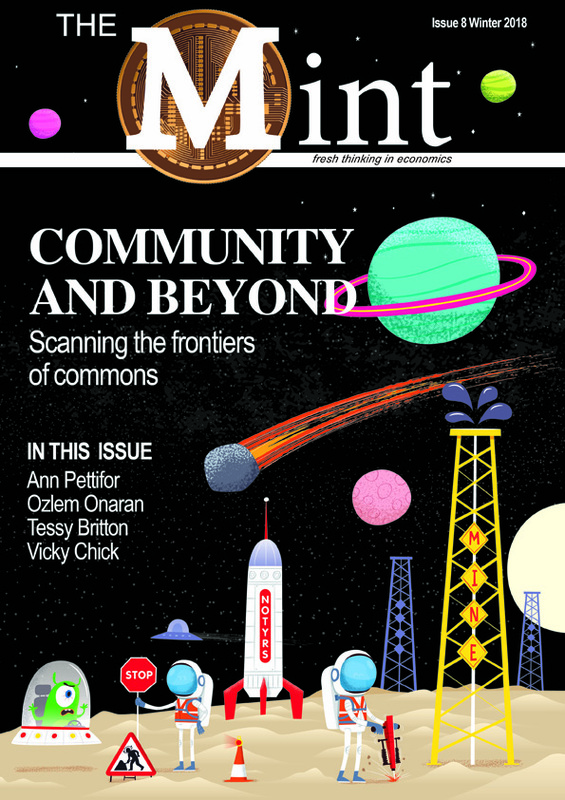 We make space for fresh thinking in economics through our digital magazine, The Mint. We have opinion, analysis, and interviews as well as humour. We feature leading innovative thinkers on understanding economies from Nobel Prize winners to people who actually work in them. 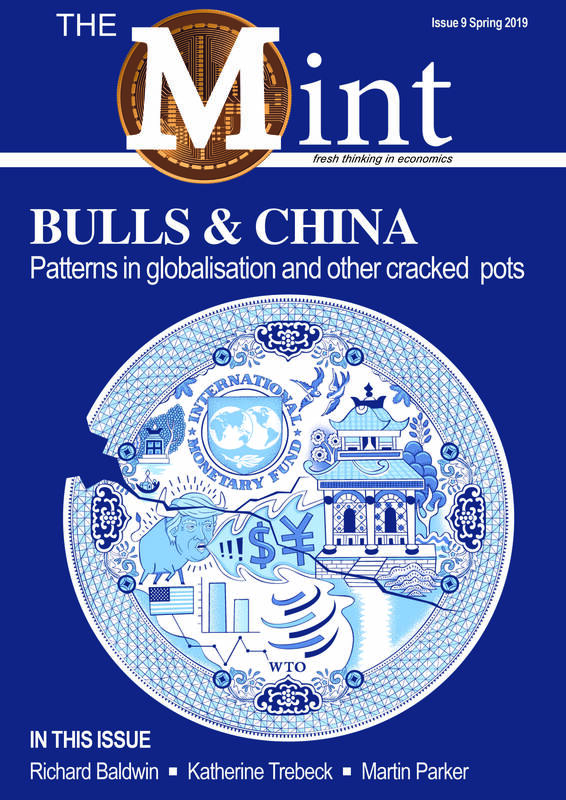 The current issue looks at globalisation and China's influence. 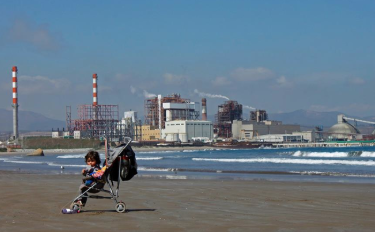 We look at the China Shock, trace the connection between DR Congo, China and electric cars, and even find a China link to right wing take-over in Brazil. We interview Richard Baldwin on Globotics, Sherry Kasper on engaging with US politics, and a dreamer on retaining the US dream, plus much more. This issue looks at how we manage our common resources from our climate to outer space. We look at experiences in Kenya, Indonesia and Sudan as well as Brixton, Cornwall and Cloughjordan. We interview Ann Pettifor about new economics in the Labour Party, Ozlem Onaran about her career as an economist and Tessy Britton about building participation in Dagenham and Barking. Vicky Chick reflects on current industrial strategy thinking. 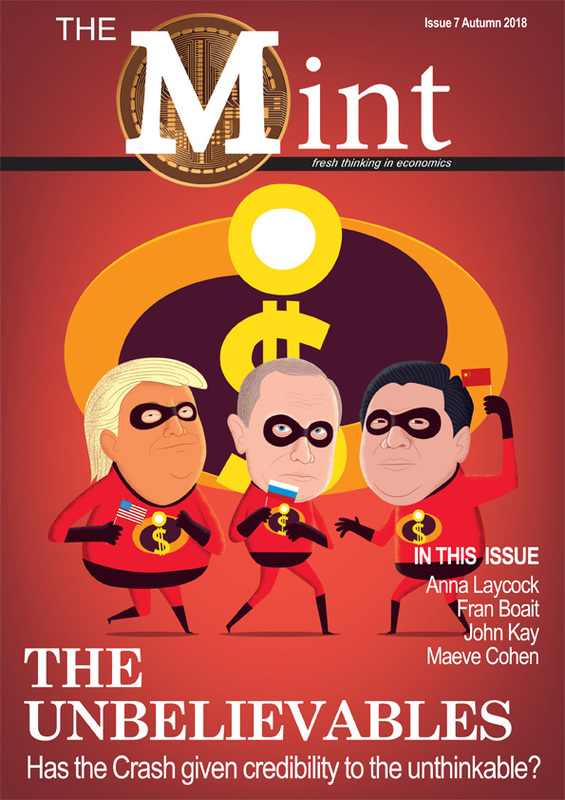 This issue reviews what has changed 10 years after the failure of Lehman Brothers. We look both at banking and wider political economic change. We talk to John Kay as well as three leaders of the new economics movement that has grown up since 2008. This issue is focussed on work, organisation and purpose. We look at work in the larger context of the nature of enterprises and economic systems. 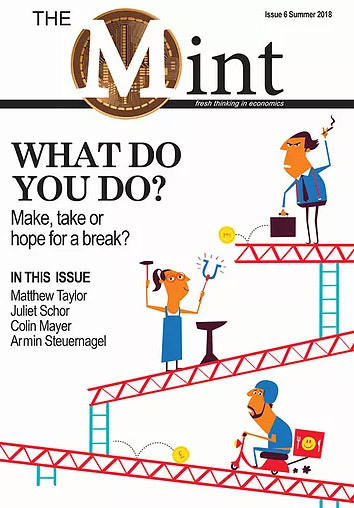 We talk to Matthew Taylor about his commission on 'Good Work', Juliet Schor on the sharing economy, Colin Mayer on the future of the corporation and Armin Strauernagel on purpose. We make space for discussion and dialogue on economic thinking through our monthly evening events in London, webinars and other special events. The latest news, thoughts and opinion from the world of economics.